Hello and Happy Thanksgiving to all of my US friends! 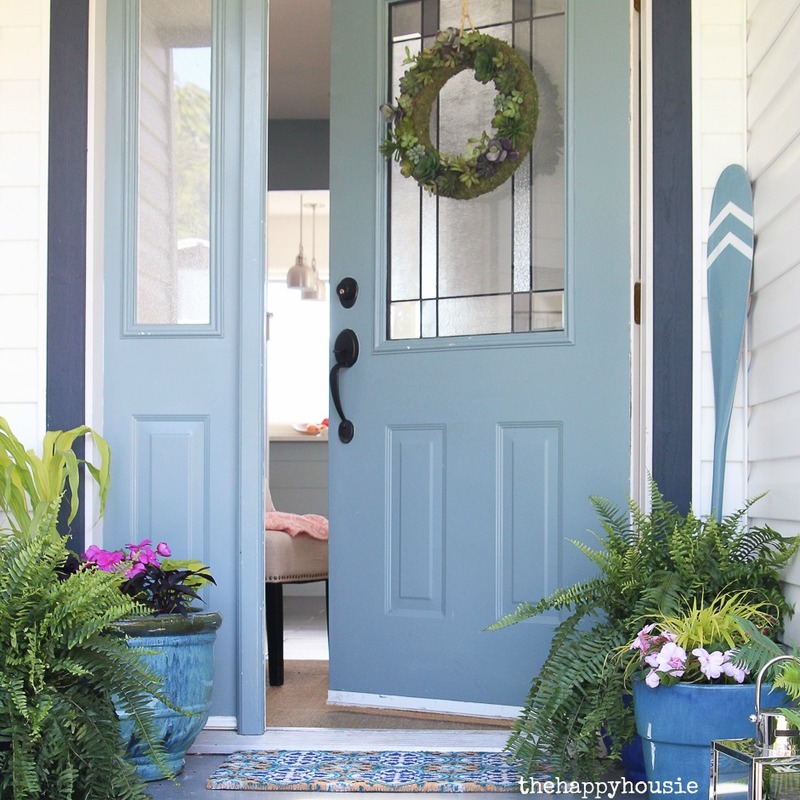 Since Thanksgiving is loooooong over in Canada we are in full blown Christmas mode around here, and I want to share with you our new Winter Wreath for our front door: Burlap, Boughs and Blades…. 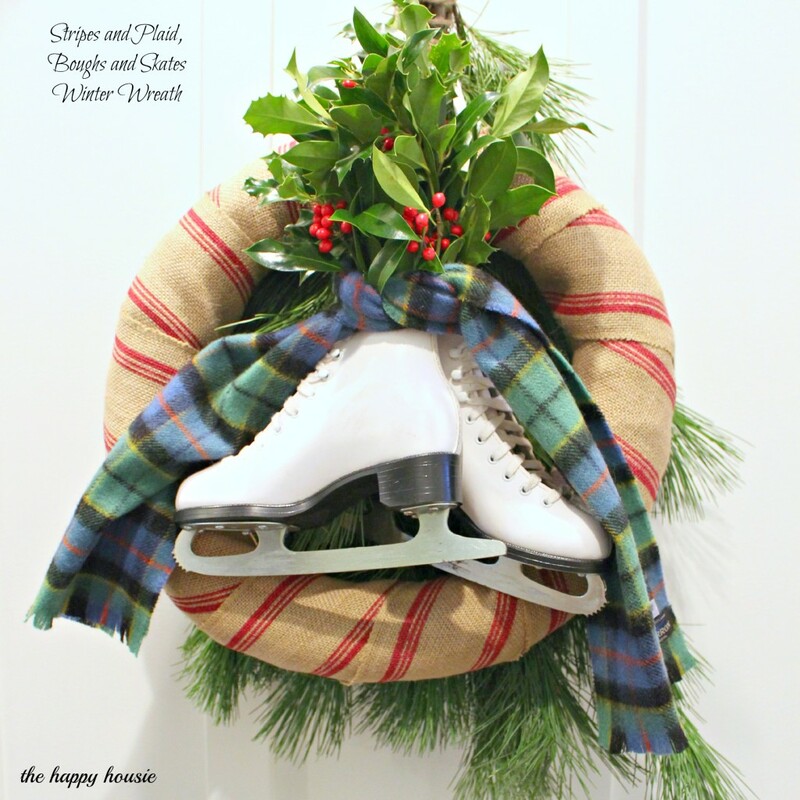 I backed my burlap wreath with pine boughs… and then added some thrift store ice skates ($3!) filled with fresh holly and a thrift store scarf on top of the burlap wreath. To keep the holly fresh I cut little squares of floral foam, soaked it in water, wrapped it in some plastic wrap, and then placed it inside of each skate. 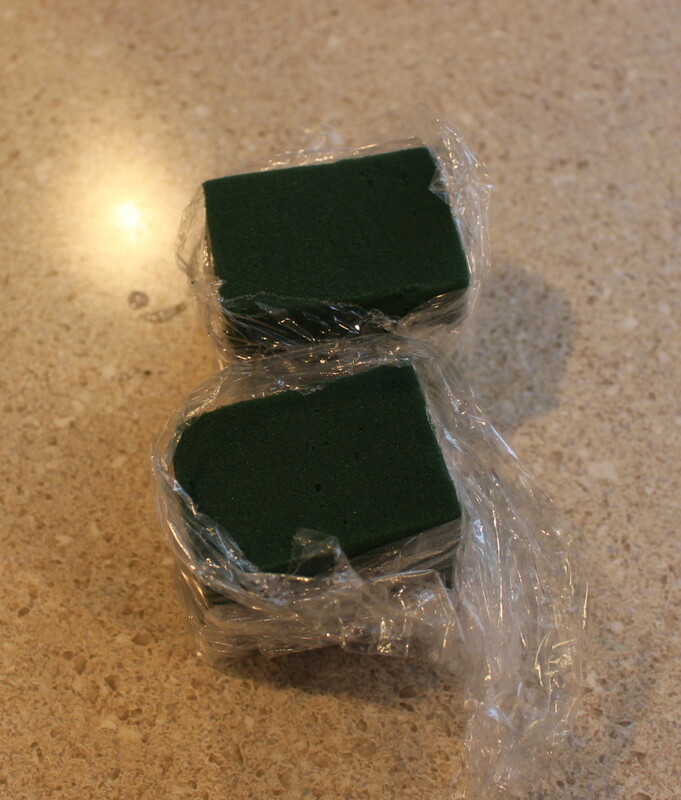 I then gently pushed the holly sprigs into the floral foam. So quick and easy and DONE! 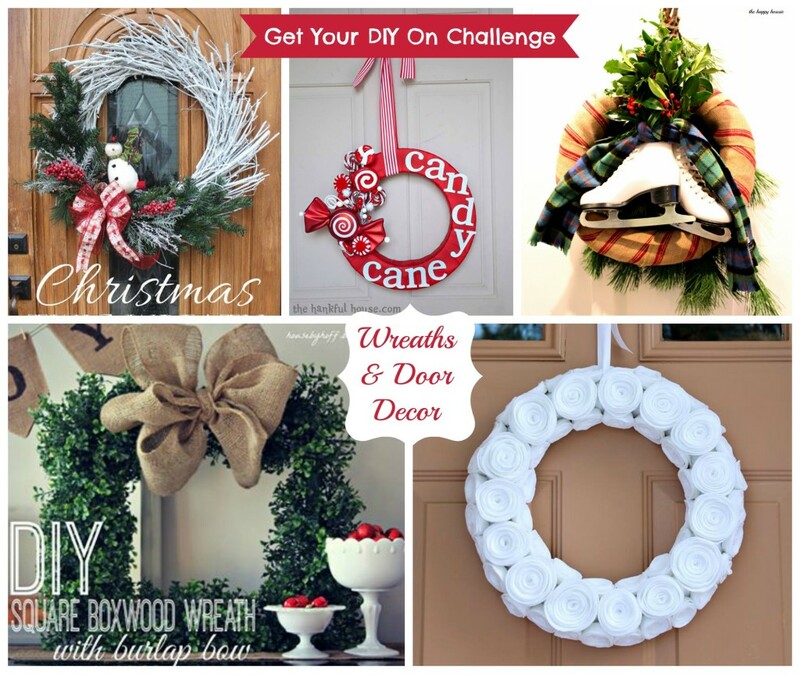 I am sharing my wreath as part of the Get Your DIY On Challenge: Wreaths and Door Décor. Have you made your Holiday wreath yet? 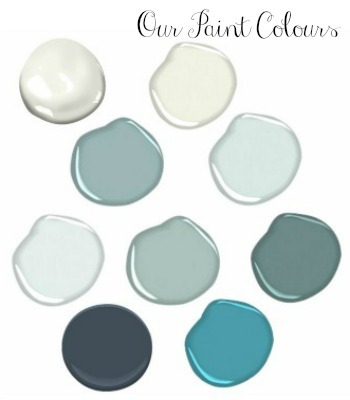 What types of materials did you use? Are you a traditionalist and love to use fresh greenery? 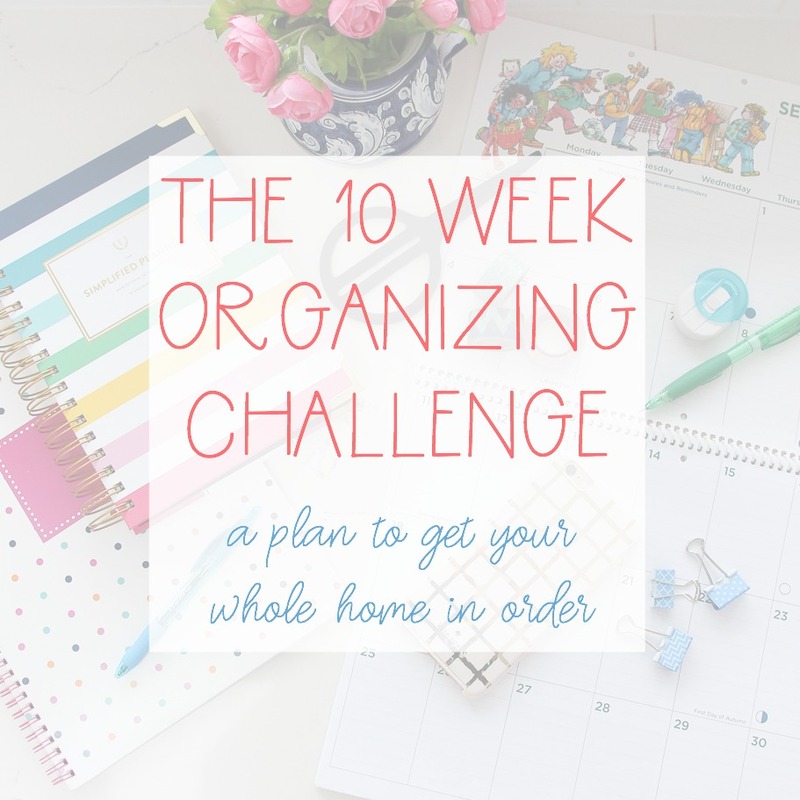 Or do you like to craft yours up out of thrifted items or craft products?? This project was featured at! Adorable! I love how you found the skates for so cheap and thought to use them here. So creative! Thank you Kelly! I had originally thought I would do JUST the skates and boughs but it looks much better with the wreath behind it! Wishing you and your family a Merry Christmas!! 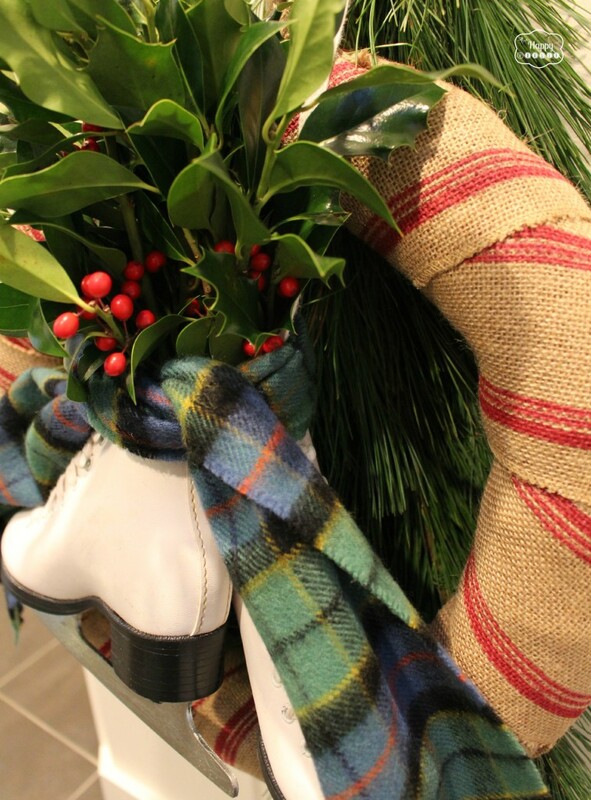 Love your wreath, I like to use scarves too for winter decorations! 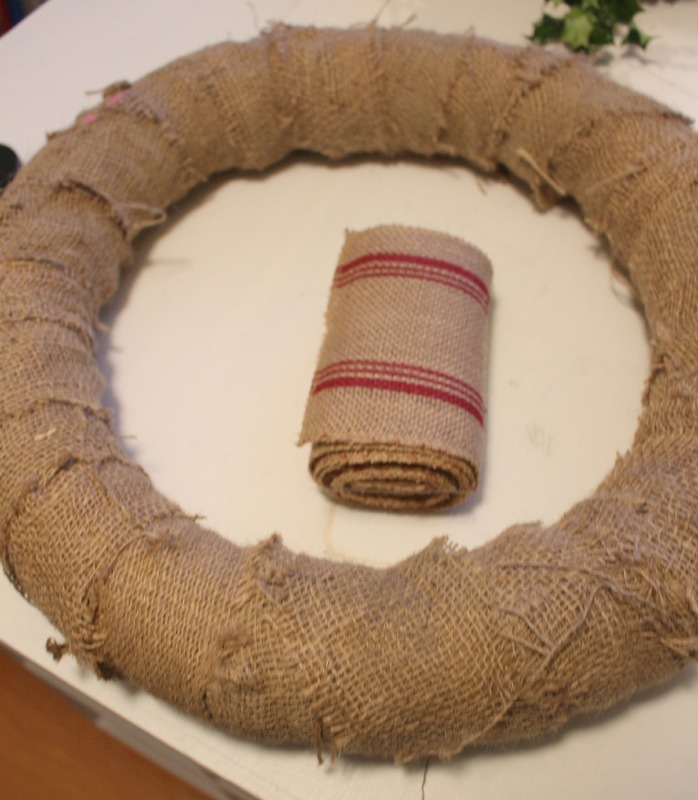 The burlap wreath would look good all by itself, you knock it out of the park with your design! Thank you so much! I was happy with how the striped burlap ribbon looked on the wreath- but actually, I started with only the boughs and the skates and then realized I needed to add the wreath after (kind of reverse thinking!!). Thanks so much for your sweet comments and visit!! I love your wreath, Krista~ so very festive! Love the scarf…I knew there’d be some blue! 🙂 Thanks for linking up at our holiday décor party. Have a great week! Thank you Kim- and thanks for your visit and sweet comments (and for cohosting the party!!). Krista this wreath is brilliant. Love the skates. They add such a nice touch. I can’t believe you found such pristine skates at a thrift store. They are just perfect for this wreath. I love how free form it is. The greenery is lovely!!! Hi Katja! Thank you – I actually really love the wreath too, it turned out better then I had hoped and I don’t think I am going to want to take it down. I might just have to leave it up for January!! 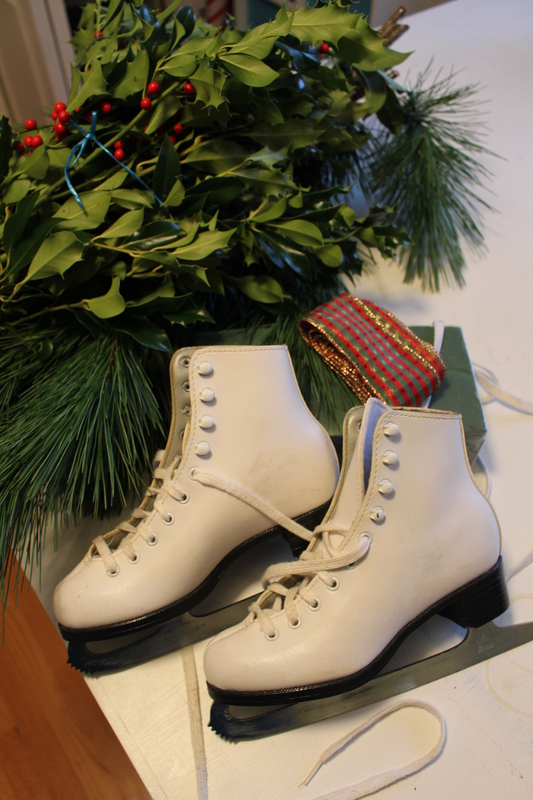 I couldn’t believe the skates were only $3 – and the pine boughs grow everywhere around here. Thanks so much for your visit and sweet comments!! Gorgeous wreath! I love the ice skates. Thanks so much for sharing at the Pinworthy Projects Party! i love the skates-they’re not too heavy on the door or anything? Hello! They are a little heavier then just a wreath but they still hang on my magnetic wreath hanger so I guess they can’t be too heavy?! Thanks so much for your visit and comments!! Adorable Krista! My mom is from Maine and so ice skating was such a part of her life. She still has her skates even though she has been in the South since she was 19. I may have to borrow them as a little winter decor! Love! I bet those ice skates have so much character to them- I think this pair was fairly new but they were $3 do they fit the bill! Did she get to skate outside then, being from Maine? I would imagine so… I know on the east coast in Canada a lot of areas have outdoor rinks. We don’t have anywhere to skate outdoors here (living near the west coast it is super mild here most of the year- we rarely go much below freezing). I have always thought it would be so fun to live somewhere that you could actually skate outdoors on ponds and lakes during the winter! A romantic notion, I’m sure:) Thanks so much for your visit and comments!! What a beautiful wreath!!!! So wintery and Christmassy! And I LOVE how you added those ice skates!!!!!!!! How cute! Now I need to try to find a pair too!!! So fun! 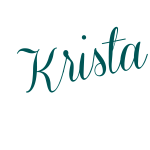 This is so gorgeous, Krista! I love the ice skates– so unique! You are so talented! Aw, thanks Abby you are so sweet!! Very Cute Krista! Love how you used a pair of skates. Lol, I guess you like it? Thanks for the visit Christine!! Your wreath turned out wonderful! 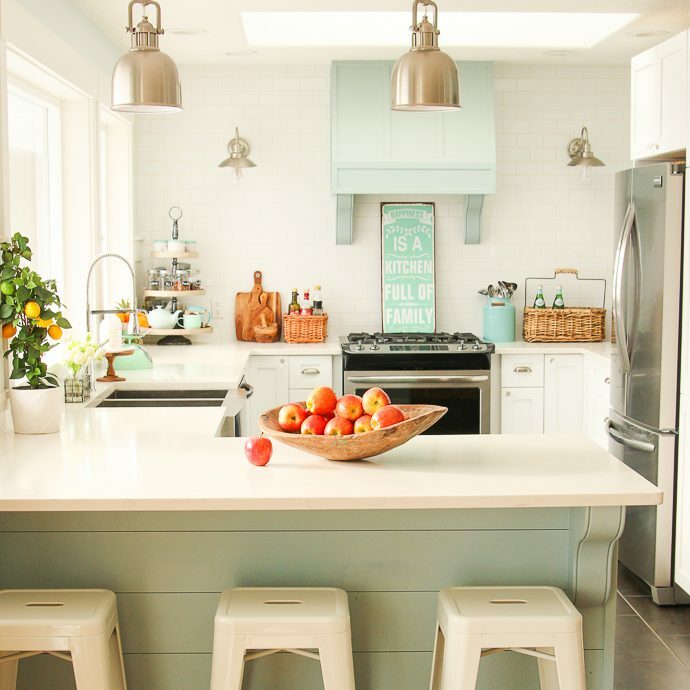 Love the rustic charm – so welcoming! Thank you for coming over to check it out Suzanne!! 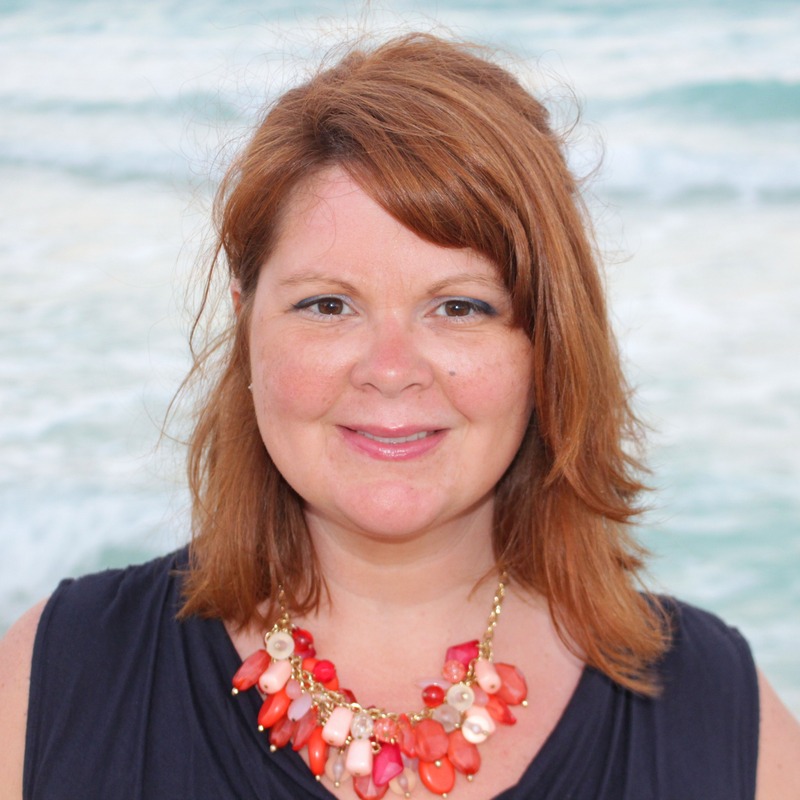 Krista, you are amazing! 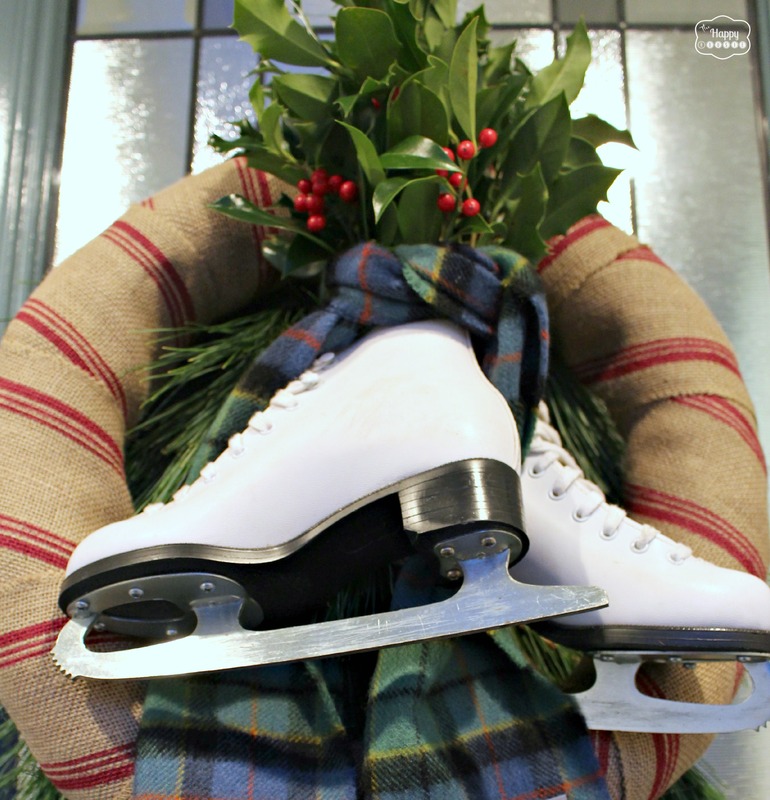 I love that you saw a pair of thrift store ice skates and thought, “Wreath!” It’s so lovely. Just perfect. Hi Alexis!! 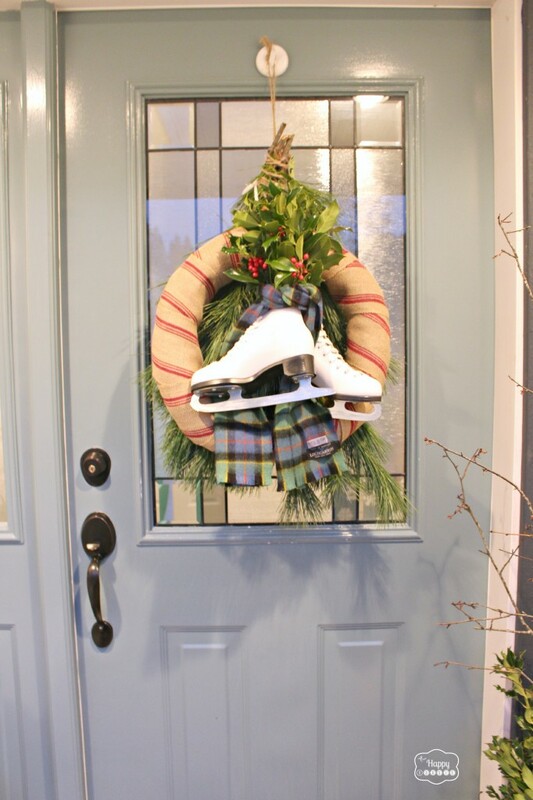 Lol- I had that wreath idea in my head for soooo long and was so thrilled that I was able to find some skates for it! It was meant to be:) Thanks for your visit and comments!! How stinking cute! Love the skates on there! Thank you Shannon! So thrilled you came by in person to check it out!! I love, love, love your wreath! The burlap, plaid and skates are perfect together. 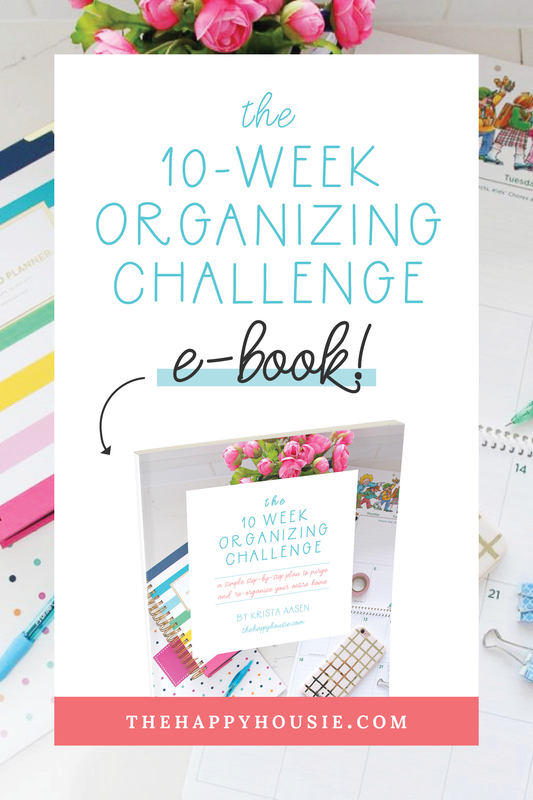 I’d love for you to link this up to our All Things Thursday Blog Hop when you get a chance. Have a great weekend! 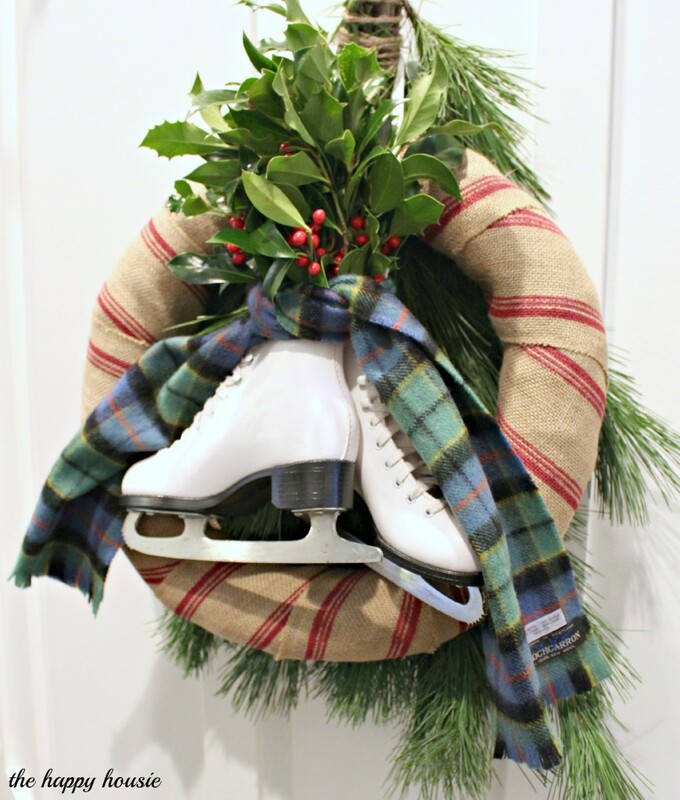 I love skate wreaths! I walked past a pair of old skates at the thrift shop the other day, and now I’m kicking myself! Oh Tara, they might still be there! I bought two pairs (because I guess one wasn’t good enough?!?) – have to decide how to use the other pair still… but I have a little somethin’ in mind:) Still doing some serious thinking about that Silhouette- I have a birthday and Christmas coming up so I think it would be more then justified!! I can just wrap it and put it under the tree for myself, right? Have a great weekend!! Thank you Christy!! That is such a cute story- I guess there might not be a lot of ice skating around there! We actually live in a fairly coastal location and don’t get many freezing temperatures- more like a lot of rain!! But indoor ice skating is popular- we have a nice big double arena- and then there is always hockey, which is like a Canadian obsession. Somehow I don’t think a big’ol pair of hockey skates would have looked quite as pretty. This is beautiful!! And SO creative!! Thank you Amy!! It is such a big compliment coming from you because you always do such beautiful things:) Have a fab weekend!! Thank you so much Cheryl- so thrilled you came by and thanks for your comment! !